We live in an age of unprecedented digital convenience of comfort food, online retail, and on-demand transportation. Our customers, also the consumers of these services, continually reset their expectations from digital banking services based on their experiences in other industries. What’s more, banking is not only at the center of all this incredibly fast digital exchange but also a key enabler that cannot afford to miss a beat. Banks looking to make a mark in this digitally accelerated universe that is our lives must be truly digital. Being truly digital requires instilling speed and adaptability in every aspect of the business. Against this backdrop, all banks have embarked on a digital transformation journey in some form or shape. However, despite elaborate strategies, few banks can be said to be truly digital. Not that banks are not providing digital banking services today, but how agile they can be and how quickly they can offer new digital services and experiences in the future is the litmus test and mark of a digital bank. The starting point towards this end state is a clear definition of what being truly digital means. And no definition is complete without a discussion about customer engagement. The spectrum of approaches available ranges from cosmetic fixes such as new channels for old services to digitizing the entire infrastructure. New digital banking channels integrated with and built over legacy systems can ultimately be only as good as the backend systems. Even the most digitally optimized channel approach or architecture is limited by the efficiency (or lack thereof) of the underlying systems. For example, for a new account application, the processing is largely offline with no end-to-end solution available. Incremental strategies also have their drawbacks associated with maintaining parallel systems (digital and legacy), delayed ROI and no clear visibility or assurance of effectiveness and results. 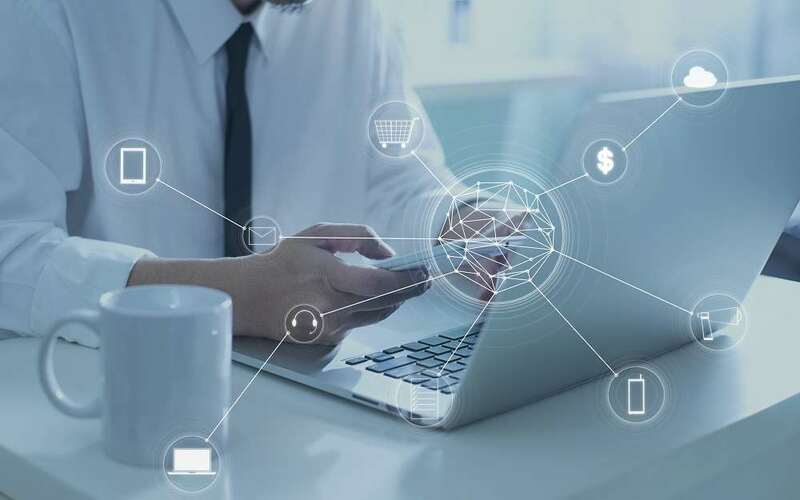 Clearly, the only way forward for banks is a complete digital transformation, a transformation that ensures that the underlying systems are also fully digital and capable of conversing with their digital upstream and downstream systems. To get this right, a meticulous orchestration of individual transformations is needed. Let’s look at these critical aspects. Legacy systems work in silos and focus primarily on an assigned banking function. The overall complexity of the banking system leads to m:n connections of such silos. This is also the case with the many-to-many connection scenario between channels and systems as multiple channels access multiple systems. Digital transformation must aim for more than just converting legacy silos to digital ones. The transformation should lead to the creation of a unified digital hub that eliminates complex interconnections. Seamless and consistent experience across channels: Channels accessing individual underlying systems lead to inconsistency in experience. Unification is possible only when the channels use a common digital hub for providing digital services. Be with the customer throughout the journey: A recent report indicates that only 5% of banks in the USA support digital customer onboarding. A truly digital bank must be able to provide an entire gamut of offerings digitally. And the services should be fast and customer-centric. Personalized and contextual engagement: Today’s customers, with exposure to digital experiences offered by Uber, Amazon and Google want more than just a cross-sell popup from their banks. Customers expect their banks to know them personally and wish to receive only relevant suggestions and nothing else, be it an investment product or simply a retail banking scenario. Personalization is a vast topic in itself but banks can start with theme based personalization, and content personalization (formats, language preferences, dashboard widgets, etc. ), and then graduate to deeper areas such as functional and control personalization (limits, alerts, templates, adaptive authentication). Additionally, personalization is incomplete without context. Unless a digital business gets customer context right, personalization rendered on the basis of information about life events or other data is of little relevance. Context complexity also varies from fundamental information such as time of the day, access channel right up to social media profile and shopping wish lists to name a few. To provide a personalized and contextual experience to a customer, banks should have a 360-degree view of the customer across systems. The hub which we talked about earlier should act as an engagement hub by generating data-driven insights about the customer. This essentially translates to the need for introduction of an engagement layer between core systems and the access channels. There are varying strategies for digital banking transformation each with its own set of advantages. However, the success of any strategy ultimately depends on how it can provide relevant customer engagement across the various stages of customer journey. And the key to success lies in thinking and empathizing with the customer. If you are a bank looking to drive deeper engagement with your customers through customer-centric processes and consistent cross-channel journeys, talk to us to know about the Finacle Digital Engagement Hub (DEH). With this advanced omnichannel solution, you can on board, sell, service, and engage your retail, small business, and corporate customers. It offers a broad range of modern, emerging, and traditional channel experiences to every type of user – end customer, bank staff, external partner, and trusted third parties that consume your APIs. DEH powers clients across 76 countries and has been recognized as a leading digital banking solution by industry analysts. The Finacle FinTech ecosystem further strengthens the overall value proposition. Author Bio: Balchandra Kemkar is an expert on Digital Banking at Infosys Finacle. In his role as a product manager for the Digital Banking suite, Balchandra is responsible for products such as the Finacle Digital Engagement Hub (DEH), Online Banking solution, and Mobile Banking solution for retail and corporate banks. His keen interest in technology can especially be narrowed down to emerging technologies such as IoT, Analytics, Blockchain, and UX. 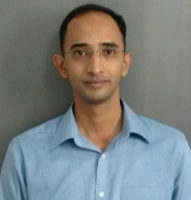 Balchandra has over 13 years of experience in IT. He has a Master’s in Business Administration from XLRI, Jamshedpur.